What to Do If You Forget Your iPod Password? Trying hard to remember your iPod password but no luck? Well, don’t strain your brain. It’s not that you won’t be able to access your iPod ever again. We have a quick fix to help you solve your mystery in a few easy steps. Keep reading to know what to do if you forget your iPod password. 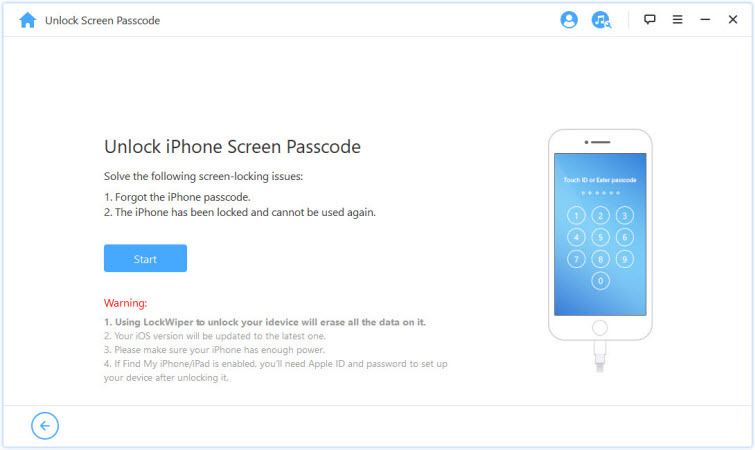 Method 1: How to Unlock iPod Screen Password Using LockWiper? Method 2: How to Unlock iPod Password with iTunes? Stop the password struggle, here’s some good news for you! 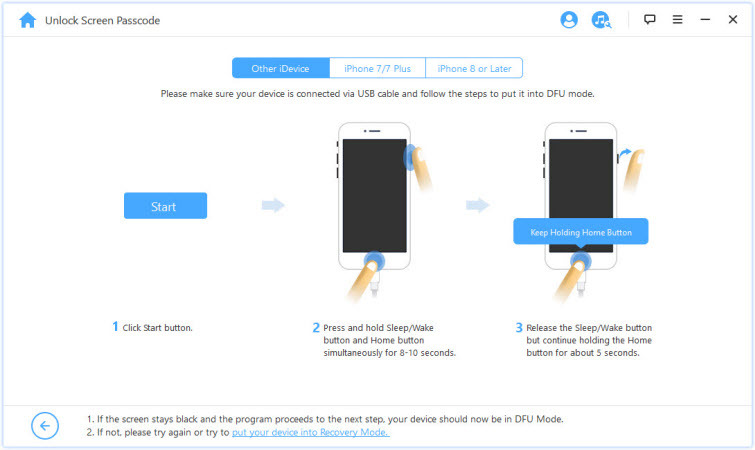 You can now unlock your iPod in mere minutes with a wonderful device unlock tool – iMyFone LockWiper. Whether it is a locked device, or you’ve actually forgotten your password, you can use this incredible tool to unlock your device without any hassles. 4 digital password, 6 digital password, or a Face ID – LockWiper is equipped to take up any challenge. Unlock your phone in different situations – disabled device, locked device, second-hand device, multiple attempts to unlock phone, forgotten password, etc. Launch iMyFone LockWiper on your system, connect your iPod to your computer using a USB cable and click the “Start” button to initiate the process. 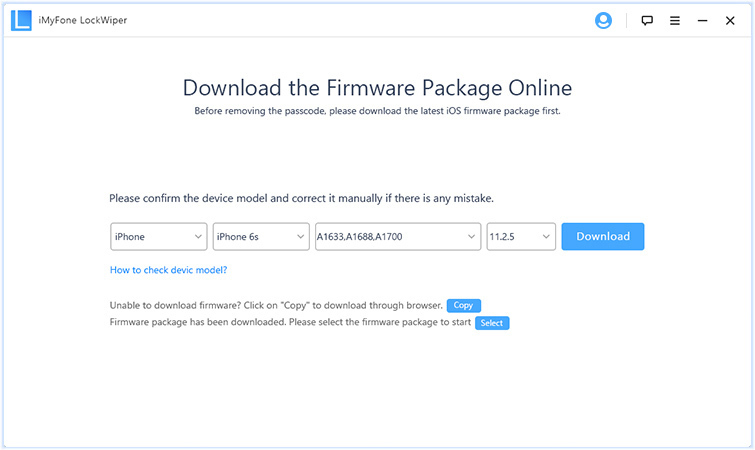 In the next step, download the firmware package for your device. Before downloading the firmware package, and verify it. 4. Click the “Start to Unlock” button initiate the unlocking process. That’s it. The lock has been removed from your device. Connect your iPod to your computer which has your iTunes account. Launch iTunes and wait for it to sync your device and create a backup. Once the iTunes sync is complete and the backup is created, click the “Restore device” button. Now that you know different method to unlock your iPod without the password, you can follow them and re-access your device. 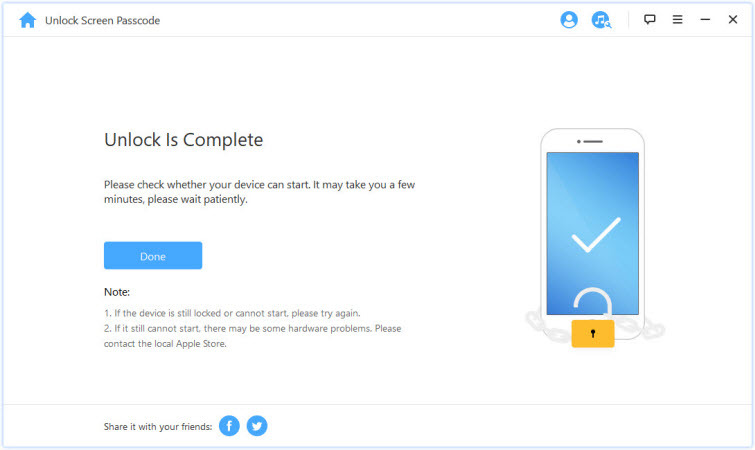 However, based on popular demand and user’s choice, we highly recommend iMyFone LockWiper to access your device quickly, in just a few minutes.